September 1st already? Where did the summer go? Back to school for the teenager on Tuesday. He’ll be a junior in high school….where did the YEARS go? 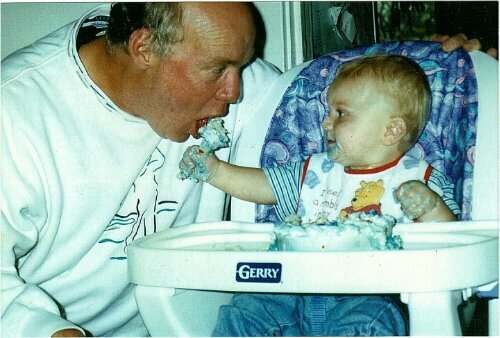 Ugh, didn’t he just turn one? Music to mom’s ears a few weeks ago when he decided to join the cross country team! Ran his first competitive 5k in 24:44. Little bugger, did I mention he’s never run before? Pretty sure his main objective is to get in better shape for basketball season, or to get out of school early for meets, but I’m so proud of him for for making this commitment! And if he dares to be seen with his mother, maybe I’ll have a new running buddy! Training has been going well, have a 10 to 12 miler on tomorrows agenda! Yay! More exciting news, I am now a SwirlGear brand ambassador! SwirlGear is a women owned company based in Chicago providing functional, flattering, affordable running clothes! Being an ambassador for this awesome company is such a privilege! And the best thing about it is I get to give my fantastic readers FREE shipping on any and every order! Just use the code “swirlon” at checkout! 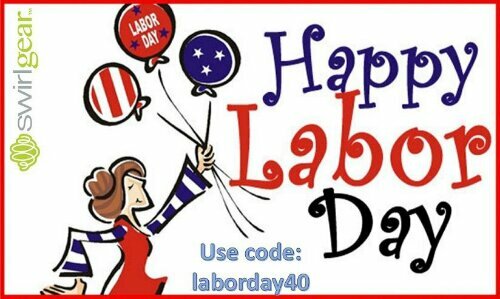 Here’s an exclusive 40% off code to Celebrate Labor Day, too! 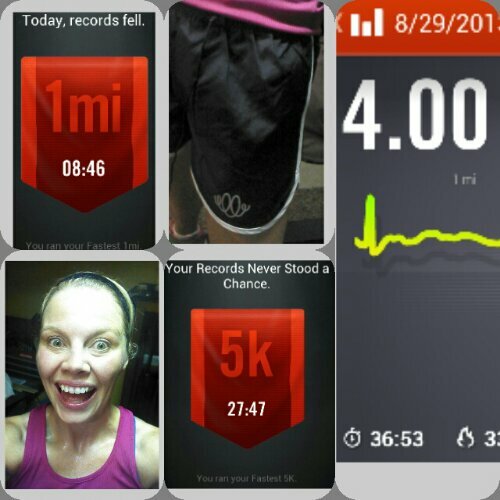 Dusted off the treadmill the other night and busted out my fastest 4 miles ever in my fancy new SwirlGear shorts! Coincidence? I think not! Hope everyone is having a relaxing Labor Day weekend! 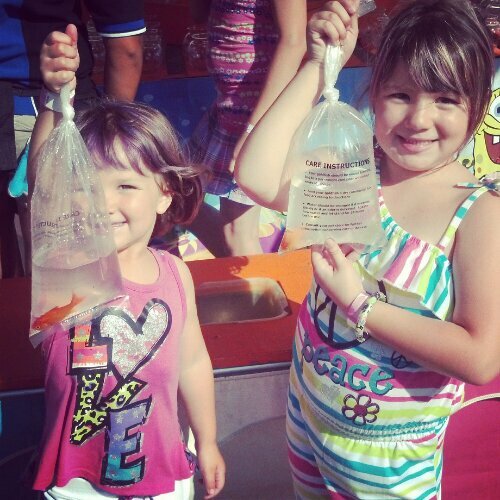 We have 2 new goldfish thanks to the County Fair. Ugh. Don’t get me wrong, I’m a lover of all animals, but have you ever had to clean a fish tank? And the old, “fair fish always die right away” saying could not be further from the truth! The ones the teenager won 6 years ago just recently got flushed! But look at how cute my grandbabies are! They were so stinking excited! So welcome Rocky and Colton to the family! I’m obsessed. To the point I’m considering brewing my own. I love it and the health benefits are out of this world! If you haven’t tried it, what are you waiting for?? Kombucha: ever brewed your own?